Apple recently celebrated the 30th anniversary of the Macintosh, which was first revealed by Steve Jobs on stage at the company’s annual shareholder meeting on January 24, 1984. The presentation of the Macintosh is one of the most talked about events in tech history—but did you know Jobs actually did the same presentation twice in the same week? Harry McCracken from TIME posts an exclusive never-before-seen video of Jobs doing the same presentation again, but this time to the public for the first time at a Boston Computer Society event, hosted by Jonathan Rotenberg, co-founder of the club, on January 30, 1984. The Cupertino and Boston demos may have been based in part on the same script, but the audience, atmosphere and bonus materials were different. In Cupertino, Jobs spoke before investors, towards the end of a meeting which also included dreary matters such as an analysis of Apple’s cash flow. 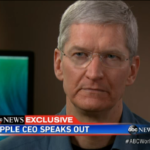 In Boston, he presented to the kind of people who Apple hoped would buy Macs. You didn’t even have to pay the BCS’s $24 annual membership fee to get in, which meant that the meeting was the closest thing the computer had to a launch event intended for the general public. 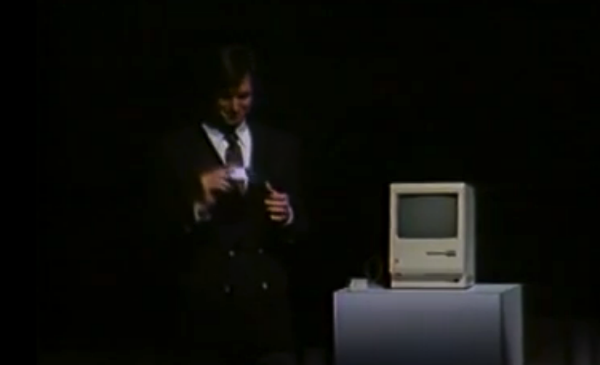 The BCS version of the Macintosh demo, as McCracken describes, is more polished, longer and meatier compared to the original shareholder presentation, which essentially acted as a rehearsal. Jobs was hands-on in the post unveiling demos and Q&A session which included members of the Macintosh team. Essentially, the BCS version of the announcement earmarked the familiar format of what we have all known to call “Stevenotes”. Rotenberg also explains to McCracken how the BCS event almost was cancelled by Steve Jobs because the Flint Center in Cupertino, which held the original Macintosh unveiling, proved to be too small to fit Apple shareholders (even at its 2600-person seating capacity); it resulted in a PR disaster for Apple at the time, which caused Jobs to want to cancel the Boston event to prevent another SNAFU. Eventually, the larger John Hancock Hall was booked in Boston and Jobs relented. Back in December 2013, Jonathan Rotenberg posted a brief clip of this Jobs video on his YouTube channel, part of a fundraising effort to raise $100,000 to restore, edit and preserve their Boston Computer Society General Meeting videos. Rotenberg noted donated funds will help the public “see 22-year-old Bill Gates with IBM’s Don Estridge and Apple’s Mike Markkula in 1981; Atari founder Nolan Bushnell introducing the first home/consumer robot” and many more through restored archival videos. At the time of the video posting, 80% of the funds had been raised.